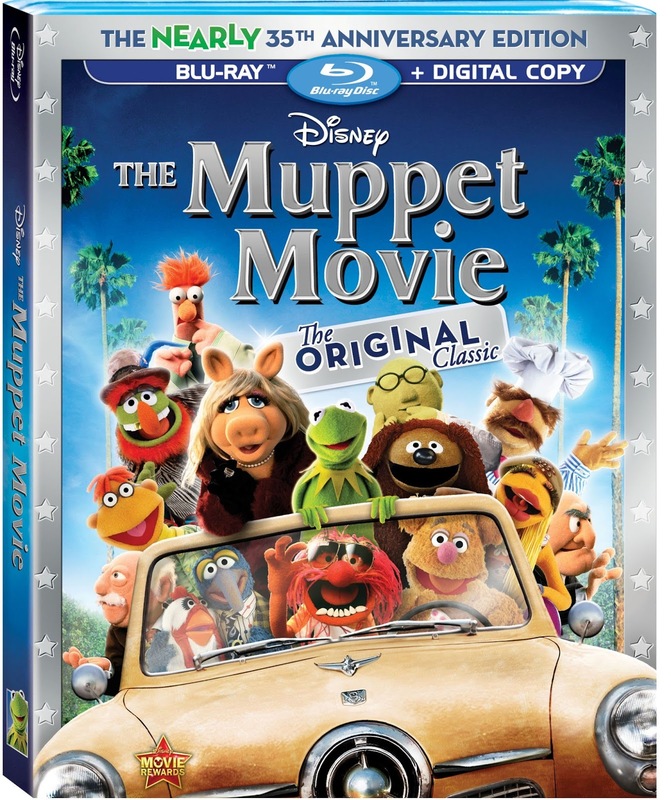 The release of the The Muppet Movie on Blu-ray as “The Muppet Movie: The Original Classic” and dubbed “The Nearly 35th Anniversary Edition” marks a point of closure for Jim Henson’s The Muppets as they are finally embarking on their future. With the success of the 2011 movie The Muppets and the recent start of the marketing campaign Muppets Most Wanted that future is bright. This movie is truly one of those classics that left a mark on the so many while growing up. Kermit, Fozzie, Gonzo, Miss Piggy... all are classic pop icons that have travelled so far. Can you tell I’m a bit excited by all this? This Blu-ray is a great release bringing together much of what I really crave on this expansive digital medium. When you hit the main menu you are presented with a patchwork scenery that shifts between representations of movie scenes: Kermit playing banjo on a log, Gonzo flying away on balloons, and Kermit & Piggy rowing in a boat. Its a clever representation and prepares your senses for the movie itself. My only disappointment is the limit of 3 scenes as more is always better. 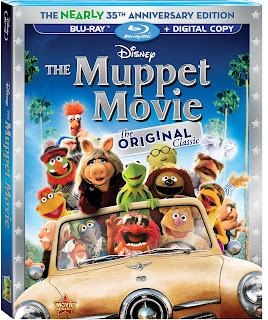 Similar to the the Blu-ray release of The Muppets this release carries forward the concept of an interactive intermission. This is done in the form of Frog-e-oke Sing-along which contains karaoke versions of three key songs in the movie. The first is the ever popular “Rainbow Connection” which is played over scenes of the movie. After that is my personal favorite “Movin’ Right Along” which contains graphics of Kermit and Fozzie running around during the song. And finally we get “Can You Picture That” by Dr. Teeth and the Electric Mayhem containing psychedelic graphics with band members, Kermit, and Fozzie running about. All three songs contain very stylized text appropriate to each song. The Blu-ray also contains Jim Frawley’s Extended Camera Test which, as the name suggests, is a camera test filmed by Jim Frawley with muppets Kermit, Fozzie, Miss Piggy, and Sweetums. The test is filmed at various outdoor locations throughout England. Muppet fans will likely appreciate the fourth wall breaking nature the characters portray in this segment. especially when Kermit tells Fozzie he’s an “artificial bear” and Fozzie responds by pointing out Kermit has wires on his arms. They also spend some times talking with cows. You can also watch a segment from Kermit’s 50th Birthday in 2005 hosted by Pepe the King Prawn. This is done in a documentary style and covers the life of Kermit the Frog. Pepe interviews other muppets tell Kermit’s story from their point of view. He also talks with Kermit and asks the ever popular question of Kermit and Miss Piggy’s marital status. They both then poke some fun at that relationship. On the Blu-ray you’ll find Doc Hoppers Commercial which is the commercial that Doc Hopper shows to Kermit in the movie and also the original movie trailers. Quality-wise it’s a nice upgrade from older DVD copies of the movie. It also contains a digital copy download of the movie that can be played on a number of devices based on choice of download source (Amazon, Vudu, iTunes). This Blu-ray is a great release and fans will appreciate having it.